"Like no other early music ensemble you have ever heard..." Performing this Saturday. Red Priest. Photo courtesy of Early Music Now. Early Music Now continues a full season Saturday introducing a British Baroque quartet, Red Priest. This group will never be confused with the usual early music re-creators. That’s because Piers Adams, recorders; Adam Summerhayes, violin; Angela East, cello; and David Wright, harpsichord have chosen a different path to Baroque performance. The quartet’s name derives for Antonio Vivaldi‘s nickname – a result of his shocking red hair and status as a priest in the Catholic church. Many of his compositions were written for the all-female music ensemble of the Ospedale della Pietà, a home for abandoned children. He wrote hundreds of original works and developed a highly skilled ensemble able to manage his challenging works. The energy in his works and the mixed reputation Vivaldi developed over his life makes his nickname an appropriate one for this unconventional quartet to take on. You can preview their mix of sound, costume, light and other stagecraft in this concert video excerpt and a promotional video. Selections from their CD may also be reviewed on YouTube. 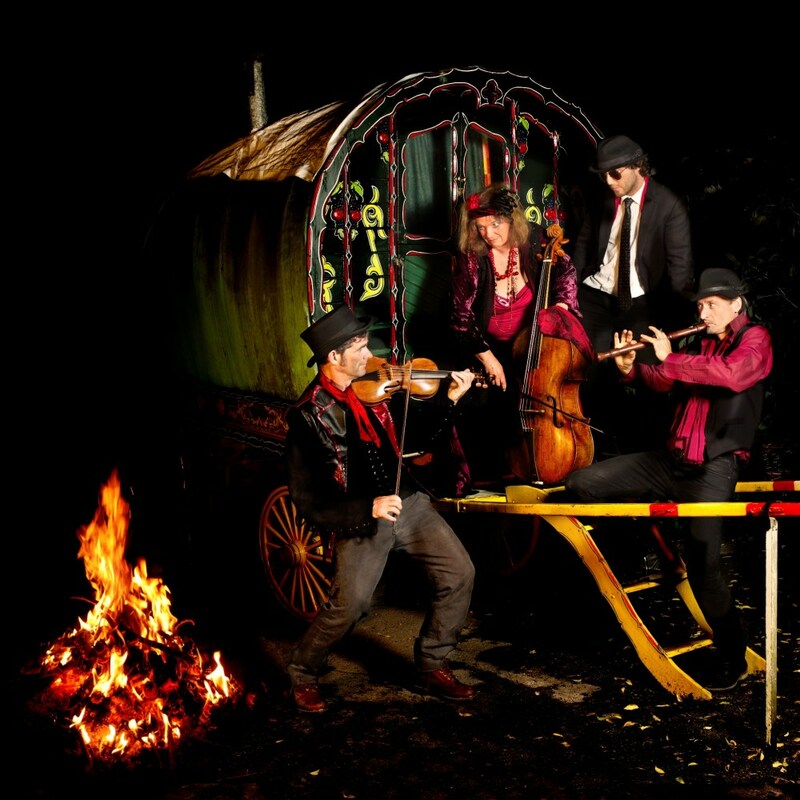 The quartet explores traditional Eastern European music from the 17th and 18th centuries alongside Gypsy-inspired works by Telemann, Biber, Byrd and others, and extraordinary re-workings of Vivaldi and Handel through the eyes of a modern-day Gypsy band. Those who are less certain whether they would like Baroque music will find this approach an enticing introduction to the emotionally charged milieu that created it. Many early music groups today have suppressed some of this energy. There is no question that the Red Priest’s musicians have gleefully turned it back on. The Red Priest concert begins at 5:00 p.m. Saturday, January 26 at St. Paul’s Episcopal Church. The concert will be preceded by a pre-concert lecture at 4:00 p.m. St. Paul’s Episcopal Church is located downtown at 914 E. Knapp St., at the corner of Broadway and Juneau. Parking is available on the street and in the Lincoln High School of the Arts parking lot across the street from the church. The venue is very near the 14 and 30 bus lines and now The Hop. Tickets may be purchased online or at 414-225-3113. Available tickets for tiers 2 and 3 are $29 and $46; students $10 and $15. The full program is also online. The Early Music Now series continues March 16 with a unique pairing of the world’s finest lute players, Paul O’Dette and Ronn McFarlane, in a program of duets from Italy and England.